One of the most significant questions heading into the offseason was going to be how much the Washington Redskins would end up paying Kirk Cousins. There was no way they were going to franchise tag him again. But they couldn’t let him walk away, either. That is, until now. It appears that the Redskins will be letting Kirk Cousins walk. They don’t need him anymore now that they’ve traded for Alex Smith. The seeds of doubt on Smith’s future in Kansas City were planted when the Chiefs took Patrick Mahomes in the first round. 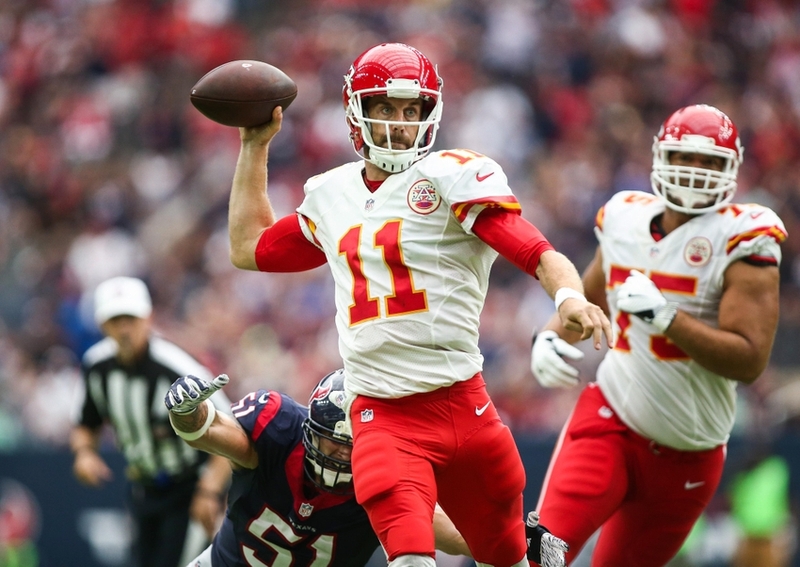 It was the first time the Chiefs had taken a quarterback in the first round in 34 years. When Mahomes played well during the preseason, many wondered if the Chiefs were going to jettison Smith then. But they held on to him, and he had a career year setting new personal highs in yards (4,042), touchdowns (26), yards per attempts (8.0), and rating (104.7). His completion percentage (67.5) was the second highest of his career. He played well and appeared to do what he needed to keep Mahomes on the bench. But then the Chiefs lost to the Tennessee Titans in the Wild Card Round. Yeah, he played great during the regular season. But no one cares about the regular season once it’s over. A quarterback that wants to keep his job must win postseason games, and Smith had trouble doing that. He was 1-4 in the playoffs for the Chiefs and was shut out in the second half against the Titans. But the Washington Redskins don’t want to pay Kirk Cousins the boatload of money it will take to sign him. So, according to ESPN, they shipped a third-round pick and defensive back Kendal Fuller to the Chiefs in exchange for Smith. It appears the Redskins are prepared to call Smith their quarterback of the near future. According to Adam Schefter, he’ll be signing a four-year extension averaging $23.5 million a year with $71 million in guaranteed money. Had the Redskins been faced with the possibility of tagging Cousins again, they would have to commit to paying him $28.8 million (transition tag) or $34.5 million (franchise tag) next season. With the roster holes they need to fill, they couldn’t afford him (they have approximately $52 million in cap space). In Smith, they get a proven quarterback they can afford. He should at least be good enough to keep them as competitive as Cousins did. He’ll find it a lot tougher to get to the postseason in the NFC East. The Dallas Cowboys, Philadelphia Eagles, and New York Giants are not going to make it easy. Cousins had said that he was going to wait and see if the Redskins were going to tag him again before deciding what to do. But it appears he will not have to until the March 6 deadline anymore. Of course, the deal cannot become official until the new league year begins on March 14.